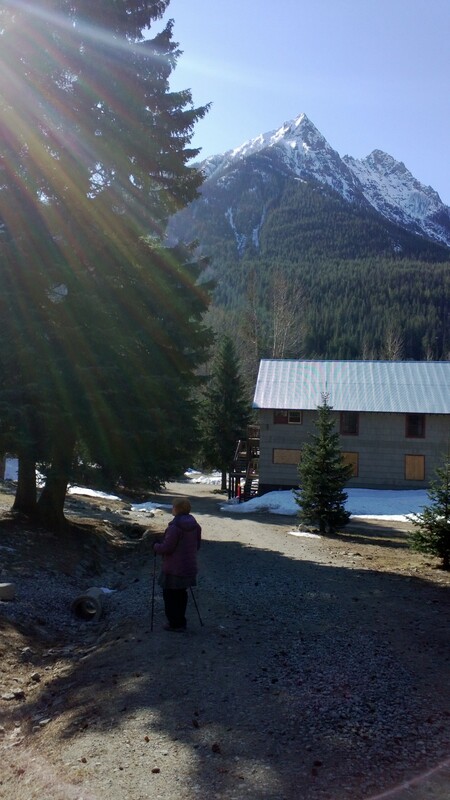 This year, my wife and I experienced the culmination of Holy Week in a very unique and special place: Holden Village – a Lutheran retreat center in the North Cascade mountains of Washington State. The site of an active copper mine from the 1930s until its closure in 1957, it is operated as a year-round center for retreat, learning, and worship. I had heard of it for years from some of the others in the Compline Choir who are regulars, but it was my first time there. To get to Holden, one has to take a boat, the “Lady of the Lake,” up Lake Chelan for about an hour and a half, disembark, and form a “bucket brigade” to pass baggage and supplies to the old school bus that meets the boat. The bus then drives up a one-lane gravel road twelve miles into the mountains which surround the former mining town. We felt privileged to be the last visitors there before the village closed to guests for the summer, due to the arrival of hundreds of workers on an environmental mine remediation project; Holden will be open again to summer guests in 2016. There is a permanent staff throughout the year, made up of volunteers who commit to a period of service for many months or years. There are many young college graduates working at Holden before moving on to the next phase of their lives. We got there on Good Friday, and the service that evening was very moving, with the community gathered around the foot of the cross. 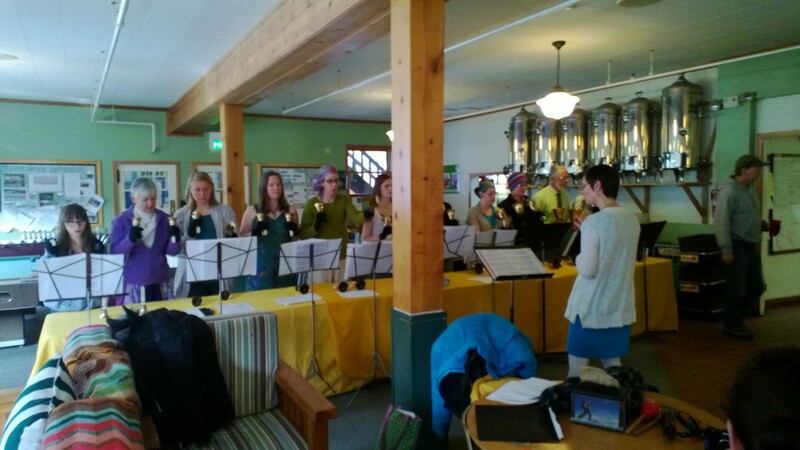 Many people contributed to the worship in different ways – reading, singing, playing instruments. The feeling of community was palpable, with parents of staff members visiting for Easter, and with many children of staff members, who attend a one-room school in the village. Needless to say, their teachers were in the community as well. 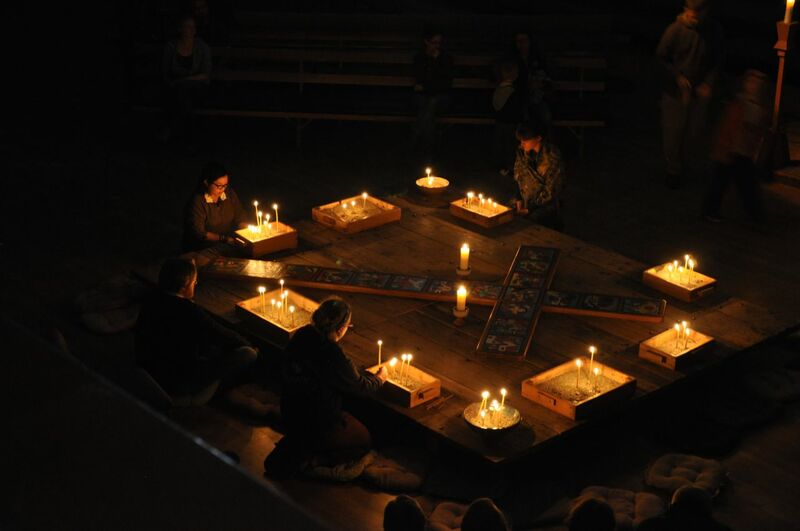 Lent and Easter have been very special times for us at Compline; you can listen to many services of exquisite music at www.complinepodcast.org. We’ve also been working toward a special Peter Hallock Gala Tribute Concert on May 9, with the chamber choir Opus 7. Here’s an Easter hymn for you, “Lift your voice rejoicing, Mary,” from the beginning of our podcast from the Third Sunday of Easter. Christ the Lord is risen! The Lord is risen indeed, alleluia!